It is with great sadness that we announce the passing of Walter Ulmer, age 92, at Royal University Hospital on Saturday, September 1, 2018. Left to mourn are two sons, Wesley (Brenda) of Saskatoon, Wayne (Theresa) of Estevan, one daughter Gloria (James) Rowan, nine grandchildren, ten great-grandchildren, three sisters-in-law Grace Ulmer of Carnduff, Ruth Hoehn of Neudorf, and Lydia Lowden of Calgary, as well as numerous nieces and nephews. He was predeceased by his wife Hildegard, his parents Maria and Ludwig Ulmer, one brother Arthur, an infant daughter, and in-laws Caroline Bondi, Irene & George Sweeney, Ernest Hoehn, Oscar & Ruth Hoehn, and Bruce Lowden. Walter was born in Neudorf on February 7, 1926. He married Hilda on November 21, 1946. 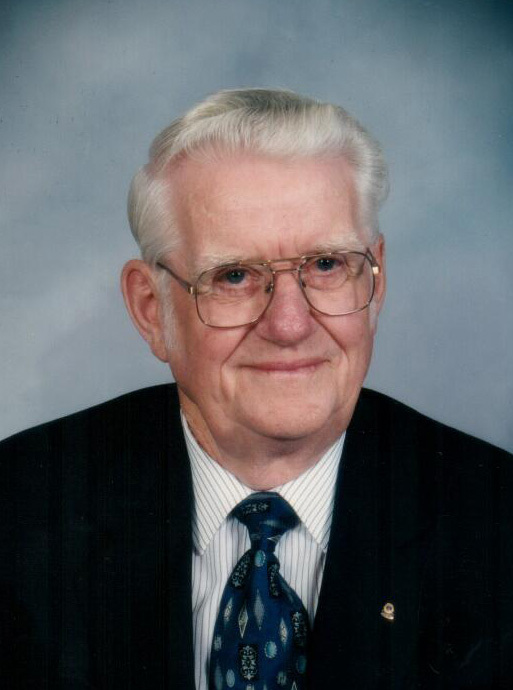 Through his lifetime, Walter farmed, did blacksmithing, drove truck, was an elevator agent, owned and operated Ulmer’s Esso Service and Bulk Station, sold vehicles for Jubilee Ford and was a service manager for Canadian Tire. He resided in Amazon, Simpson and Young before moving to Saskatoon. Walter was a member of the Saskatoon Nutana Lions Club for many years. He enjoyed playing the accordion and was a member of a band in his younger years. He loved to fish, curl, play card games and billiards. In retirement he did a lot of carpentry work building bird houses, whirlybirds, and anything he thought would be a bit of a challenge. He was an avid fan of the Toronto Blue Jays and baseball in general. He also loved to dance and listen to old time music. Walter will be fondly remembered and sadly missed by his family and friends. A Celebration of Walter’s Life will be held at 1:00 p.m. on Friday, September 7, 2018 at Augustana Lutheran Church, 7th Street and Broadway Avenue, Saskatoon, SK. Officiating will be Pastor Marilyn Fowlie-Neufeld. A Private Interment will follow at Hillcrest Memorial Gardens, Saskatoon. In lieu of flowers, donations may be made to the Heart & Stroke Foundation (#26 - 1738 Quebec Ave, Saskatoon, SK S7K 1V9) or to the Lions Eye Bank of Saskatchewan (C/O Saskatoon City Hospital, 701 Queen St, Saskatoon, SK S7K 0M7). Arrangements in care of David Schurr – MOURNING GLORY FUNERAL SERVICES (306) 978-5200.